Last week there was such loads to tell you about the vegetable garden I never told you about all the other things. 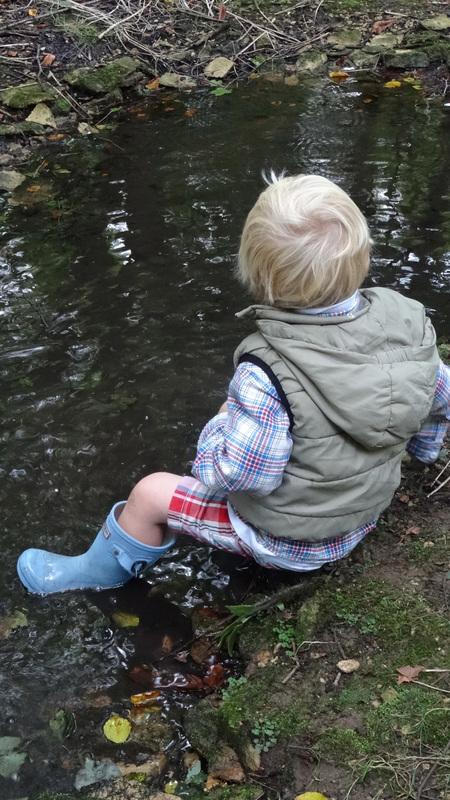 After we’d harvested all those vegetables, The Viking ran straight to the stream. We heard him shout “Oh No”- he’d found the Fairy Queen’s barge had sunk and as Sapphire and I reached the stream he’d waded in to rescue the barge. “Be careful” we shouted “you’re too little, wait til the grown-ups come”. But The Viking had already rescued the barge and shouted back “Don’t be stupid, I’m big” (Granny had been there all the time and told him not to call people stupid.) Anyway, he carried the boat out of the water and put it back in its cradle. “It did a Mary Rose” said Sapphire. She has got an amazing memory because ages ago J’ree told us the fantastic story of a ship called the Mary Rose that was built 504 years ago and sank 469 years ago and was rescued 32 years ago. 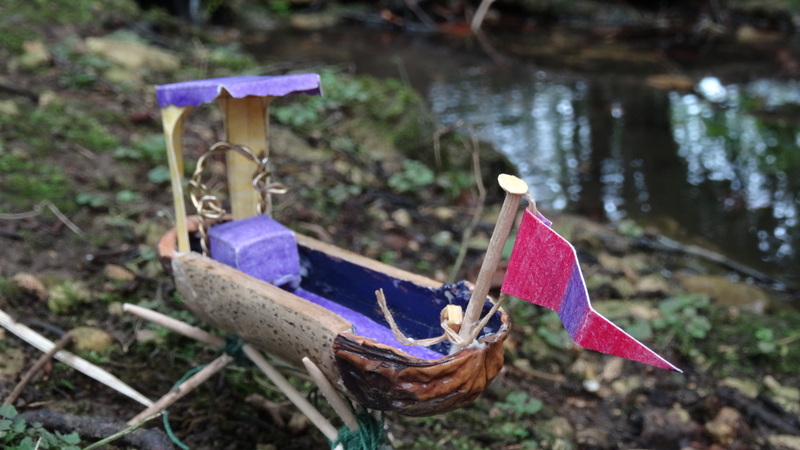 Trisseen said the Queen’s Barge sank because it carries the jewels and the Guard, as well as The Fairy Queen, so the back where the flag is is balanced with the front where the canopy is. You can read about the Mary Rose, which sank because she was unbalanced too. 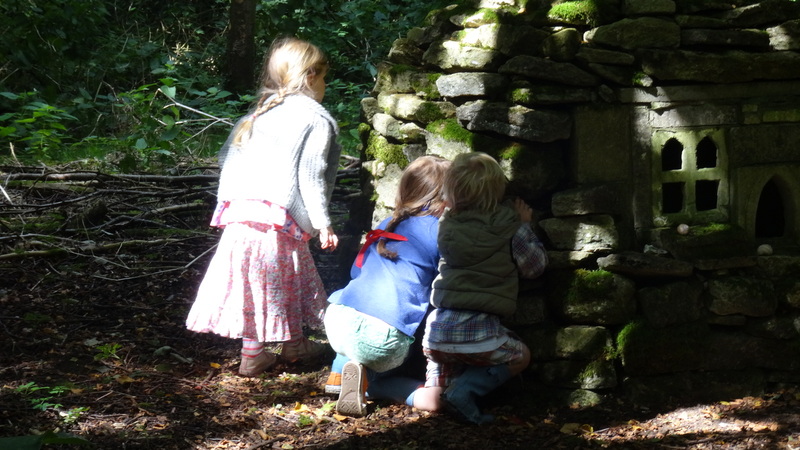 Then we went to see if the Fairy Queen was in the castle. “Shhhhhhhh” said The Viking noisily as we quietly peered in through the Castle windows. The candlelight was flickering at the top of the stairs. I felt something squeeze my arm very tightly – it was Sapphire. She was so excited she could hardly keep still. 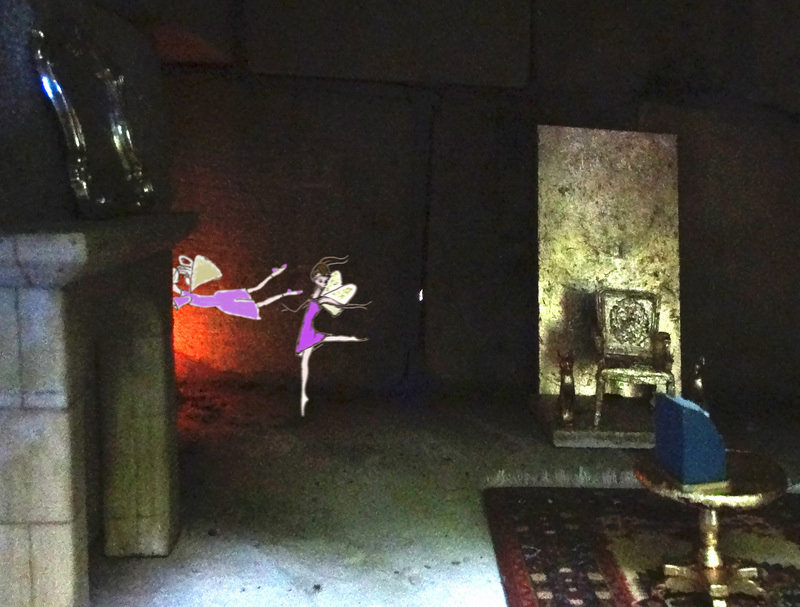 She whispered in my ear “There were two fairies in the big room I saw them going towards the stairs they were half dancing and half flying” We peered in for ages and ages but we didn’t see any more. When we go back to school next week I’m going to do a competition. I haven’t decided what the prize would be yet. What do you think it should be? Just Reply as usual in the ‘Leave a comment’ thing. Exciting! This entry was posted in children, children's games, children's stories, country lore, countryside lore, fairy tales, fantasy, magic, outdoor+games, The Joy of Childhood, wildlife, wizard, woods, written by Charlie Age 6 and 1/2 and tagged adventures, childhood, children's+stories, fairies, fantasy, magic, outdoor+games, wildlife, Wizard. Bookmark the permalink.